Galveston State Park Camping, Hiking, Fishing And Swimming. 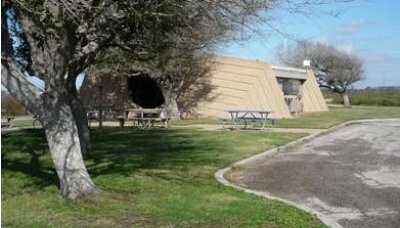 Galveston State Park is about six miles on Terminal San Luis Pass Rd from the western end of the Galveston Tx. seawall. It doesn't have a lot of trees like normal state parks but different qualities mark it as distinct from other parks. This is a state park with the sea, salt water bayous and pockets of fresh water cohabiting together, promoting a dual habitat for birds, fish and other creatures. The park stretches from the seashore to inland. Galveston State Park is very close to the popular "Escape To The Gulf" vacation rental. The next closest beach rental condo is the Seascape on San Luis Pass Rd. Beachside and Bayside camping are now open. There has been a lot of work going on to restore it to the pre-Ike hurricane status. There are portable toilets and rinse off showers available. Fishing and swimming are allowed in the sea water and only fishing is allowed in the lakes and bayous. Stay at the camping ground or travel to Galveston Island state Park to do some fishing or hiking. The park has some good fishing bayous like Jenkins Bayou, Butterowe Bayou and Oak Bayou. Lake Como is also a great place for fishing. A fishing license is not required of anyone who fishes from the pier or shoreline inside a state park. Galveston things to do are many. The park has a lot of them. Take a hike through the park. Look out for birds like Roseate Spoonbill, the crested Caracara, Great Blue Heron, Brown Pelican and others. Bring a binocular to watch birds from the observation tower. Take a stroll down the wetlands and learn about the plants and wading birds feeding on the bayous. Look out for alligators though, they like the ponds too. Just know your limits and prepare for the hike. Prepare for the sun heat. Keep pets on leash and watch out for wet sections and thorny plants. There is an extensive bike trail for bicycling. Bring a bike for a ride. Helmets are recommended for bike ride in the park. Make sure to pay attention to the state park tips. Have a picnic at the park. There are state park picnic areas and picnic shelters. Enjoy a vacation time at the Galveston State Park. Take time to do some sight seeing outside the park while in Galveston. Visit the seawall. Take a look at the nice hotels and try out some nice restaurants too. Check out the other beaches around. Group School-Sponsored Trip: Contact the Park to make arrangements. There are special fees for Beach side camping, and Bay side camping. The check in time is 2 pm. Get more information from the State Park.